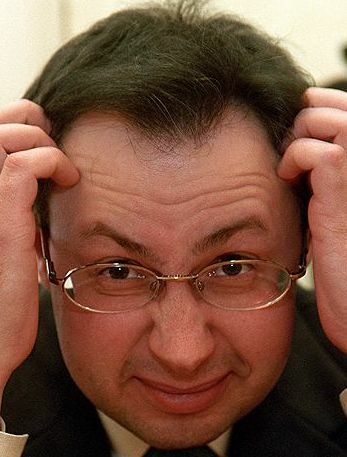 Commenting in today’s Vedomosti, Konstantin Makiyenko of Moscow’s Center for the Analysis of Strategies and Technologies (ЦАСТ), also a member of the Duma Defense Committee’s Scientific-Expert Council, addresses the recent tendency of Russian military leaders, especially Air Forces and Navy, to criticize and even reject the OPK’s homegrown products. He notes VVS CINC Zelin’s publicly expressed dissatisfaction with the pace of work on the S-500, and the Navy’s ‘slap in the face’ to Russian shipbuilding over consideration of the Mistral and German conventional subs. He claims the oboronki themselves sensed Defense Minister Serdyukov’s bias against them and rushed to confess their problems. And Makiyenko concludes the criticism is well-founded, as many OPK enterprises and companies are in pitiful shape, and the management of a number them leaves a lot to be desired. However, he asserts, the OPK’s post-Soviet decline is not as great as that of the armed forces. And restoring Russia’s ‘normal’ military potential is a higher priority task than preserving or adding to the OPK’s scientific-industrial potential. Makiyenko believes Russia’s place as the number 2 or 3 arms exporter in the world indicates the OPK’s real potential. Even more so since the economic conditions in which the OPK operates are worse than those of its competitors. So, for all its problems, the OPK is still number 2 or 3 in the world, according to Makiyenko, while the army, nuclear weapons aside, is capable only of defeating the lilliputian armies of the former Soviet republics. Makiyenko believes the degradation of the Soviet Armed Forces was occurring as early as the 1970s, while the Soviet OPK was reaching the peak of its capabilities at the end of the Soviet epoch. It had practically overcome any lag with the U.S. and was building competitive products. So, Makiyenko concludes, the OPK, rather than the Soviet Army, was the advanced guard in the last stage of the Cold War. And Russia’s arms market successes would have been impossible without the Soviet OPK legacy. Makiyenko suggests that the OPK should have priority over the army because, not only can it play a role in national development, but, with some effort, it can be restored in 5-10 years, while if it is [completely?] lost, it could take one or two generations to rebuild. And even if Serdyukov builds the best army in the world, it won’t be able to provide for the country’s security without the basis of national defense–Russian industry. So, without orders from its own army, without financing for basic research or RDT&E for the last 15 years, the OPK isn’t always able to meet demands for low priced, high technology goods on tight schedules to help Serdyukov rearm the armed forces quickly and effectively. But this is no reason to call oboronki thieves and junk dealers. Makiyenko calls for a long-term perspective and systematic evaluation of the situation instead of nearsightedness. This is all well and good. Makiyenko’s a smart guy and makes valid points, and he’s done an admirable job of defending the OPK. But let’s remember that he tends to shill for arms sales. Russian weapons sold abroad have had more than their share of problems in recent years. And the Soviet technology in them grows older and older. Also, there appears to be no cogent program for fixing the OPK anywhere in sight. Nor is there even any clear analysis of how buying arms abroad will affect the OPK. This entry was posted in Air Forces, Defense Industry, Force Modernization, Navy and tagged CAST, ЦАСТ, Konstantin Makiyenko, OPK, S-500, Zelin. Bookmark the permalink.